A home where an independent person needs to be able to look after themselves without a helper. 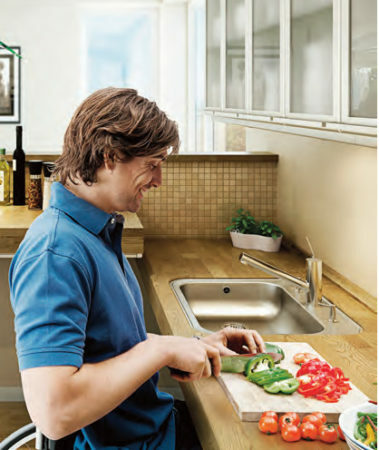 Communal and training kitchens in which several people with different capabilities have to work together comfortably at the same time. Kitchens in child care institutions where both children and adults need to manage together. Our Indivo manual wall mounted frames are available in any length up to 3000mm. 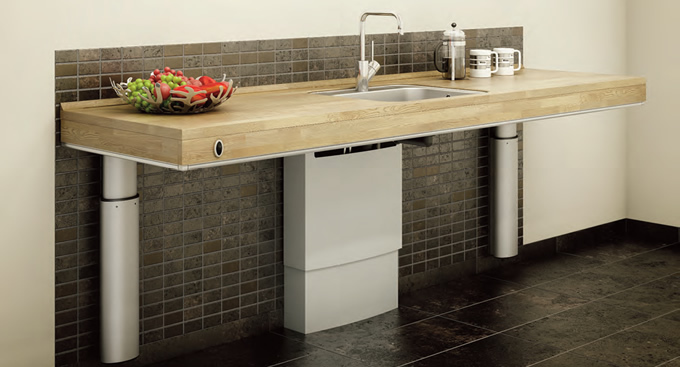 It is advised, but not essential, a 100mm high worktop plinth be fitted beneath the worktops front and return edges to accommodate a manual crank. If a worktop plinth is not required, a collapsible crank handle must be ordered. Total loading capacity including worktop is 100kg. Height adjustment ranges from 630mm to 930mm. 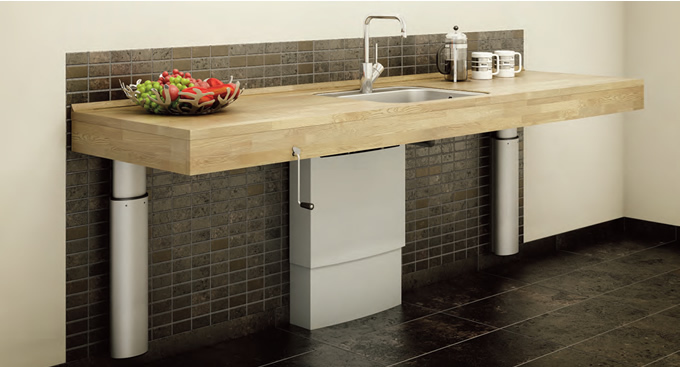 A flexible plumbing kit should always be fitted to sinks installed within this worktop and frame. The Indivo electric wall mounted frames are available in any length up to 3000mm. It is advisable, but not essential, that a 100mm high worktop plinth is fitted beneath to accommodate the electric switch and safety stop. Total loading capacity including worktop is 100kg. Height adjustment ranges from 620mm to 900mm. All electric models come with safety stop as standard. 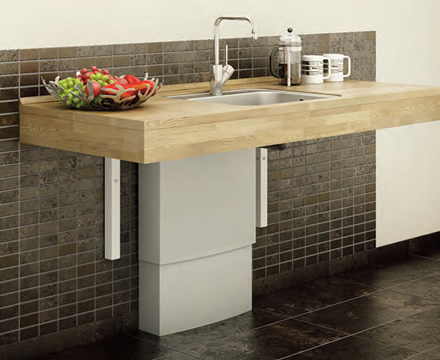 Our Indivo brackets are ideal where a fixed height worktop is required. They are simple to adjust and have a height range of 250mm. The distance between two brackets must not exceed 800 mm. The maximum ‘evenly distributed’ load for a pair of brackets is 75 kg and a flexible plumbing kit should always be fitted to sinks installed within worktops fitted to these brackets.